Hey, guys. I have another lipstick review. Yey! 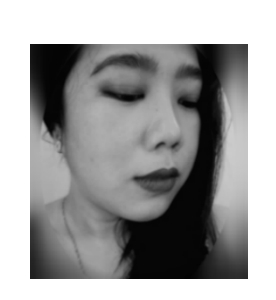 In accordance with the damp and rainy weather lately, I have been wearing rich and dark lipstick shades. I reckon that I will be dealing with this kind of weather moving forward and well into the end of the year so I the dark, almost vampy lipsticks have come out to play. You might have noticed that I have been featuring a couple of products from L.A. Girl (see: LA Pigment Gloss in Dreamy and Orange Corrector). 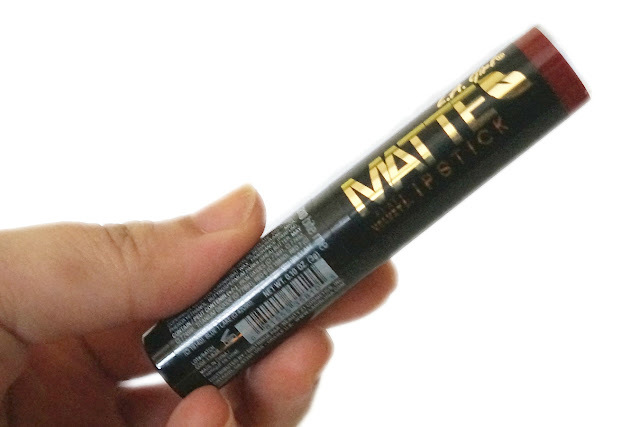 This brand has been making a comeback in the beauty gurus' circle due to their affordable line of matte lipsticks as well as good selection of beauty products. I think this might replace Wet n Wild as the new go-to for affordable beauty. 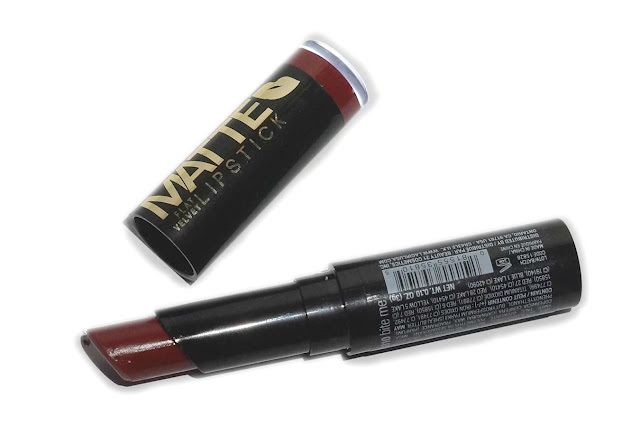 Bite Me can be described as a deep burgundy red with slight blue undertones and matte finish. When it comes to reds, I always lean towards the blue-based ones since it brightens up my face while orange-reds tend to make me look sallow. This one is a very rich and bold color and will go well with the fall and holiday season. 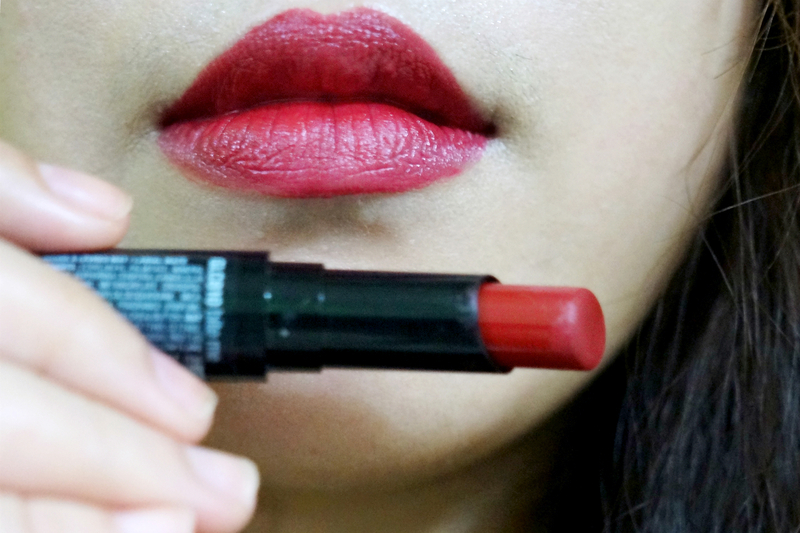 The shade reminds me of MAC Ruby Woo and Revlon Standout except this one would be darker. This lipstick is super pigmented and a single swipe will definitely give you an opaque coverage. 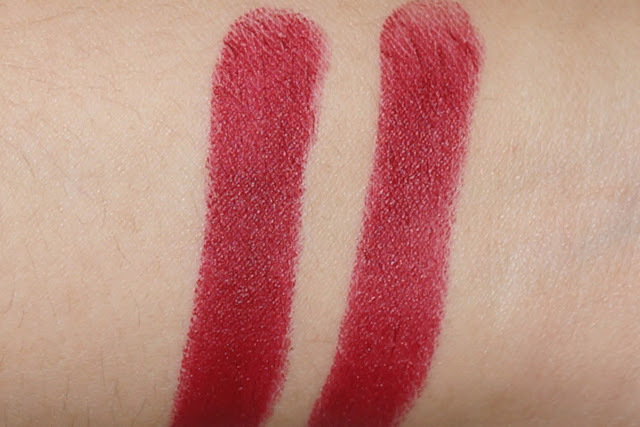 The color is buildable but with this kind of pigmentation, you only need a couple of swipe to get maximum payoff. 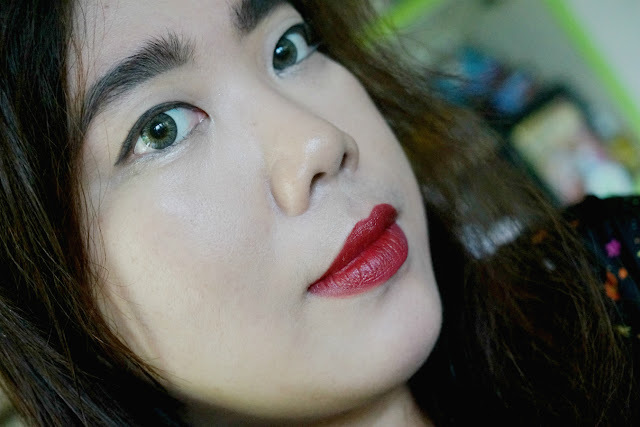 The formula feels light on the lips and it applied smoothly enough, though with this shade, I noticed some slight tugging. 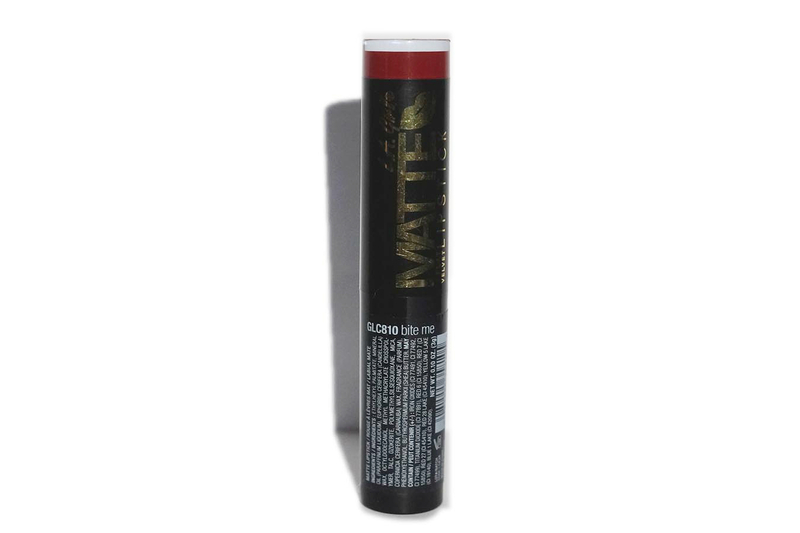 The shea butter help along in making this less drying and comfortable on the lips. This applied smoothly and didn't settle on lip lines. 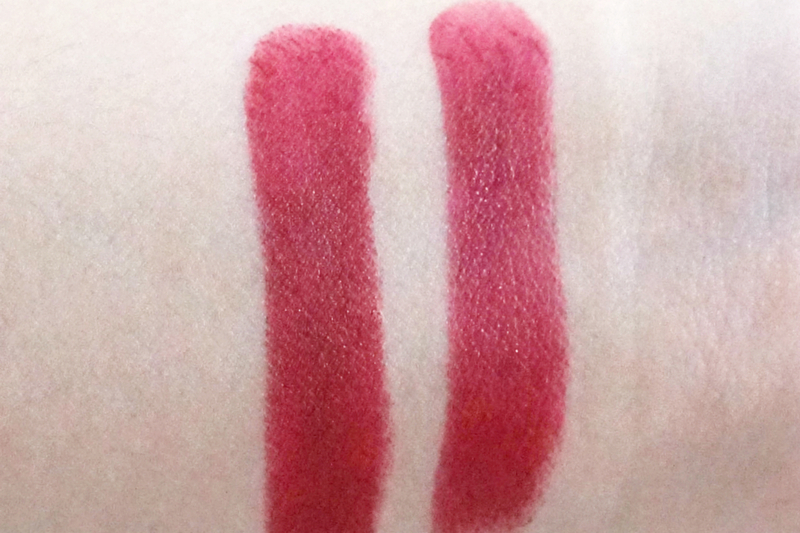 Wear time is average with up to four hours of vibrant looking lips. It wears off with a meal and didn't leave any stains. I detected a vanilla/candy scent but it's mild enough for me to overlook. Also, I would like to say that I like the packaging better than the Wet n Wild Megalast ones. This one swivels all the way down and also has a color-coded cap (depicting the actual shade) that makes it easy to recognize without opening the tube. Additionally, I forgot to mention that LA Girl is also a animal-cruelty free brand (like Wet n Wild) which is awesome.